Google reviews have become increasingly important over the last year or so as their search algorithms have emphasized the value of geotargeting and local search efforts. But in their zeal to consolidate information and create new products (like Google+ profiles and new business pages), there have been some negative setbacks when it comes to small business owners actually hanging on to their reviews. Even before the Google changes commenced earlier this year, there were problems with duplicate pages and the sudden disappearance of reviews left on Google pages. The fact that this problem isn’t new doesn’t make it any less infuriating when it happens to you. As we all know, good reviews are incredibly valuable and can be difficult to wrangle from busy customers. Once you get them, you don’t want to lose them. Which begs the question: How can you protect yourself and your small business from losing reviews on any third-party websites like Facebook, Google+, Yelp and Yahoo? Have a website that YOU OWN – I have repeated this piece of advice in almost every blog post I’ve ever written, simply because it bears repeating. As stated in this past post regarding Facebook, you don’t own any of the space you use in social media outlets like Facebook or Google. If you use a social media outlet – or any web space that doesn’t belong to you – then you are simply renting that space and the owner can change the content whenever he or she wants. However, if you have a website, you control the domain name and the content. Go here if you don’t have a website or if you have one but would like to improve it. Create a page on that website where you can both gather and post reviews. On this page – called Testimonials or Patient Experiences, for example – include links to your business pages on places like Google and Facebook, but also include a list of testimonials that you have gathered. Collect and keep your reviews. Visit your business pages on third-party websites periodically and copy the reviews (along with names and dates) into a Word document for safe-keeping. Then, if lost, you have record of those reviews and can post on your own site if necessary. Report lost reviews. It’s fair to say that dealing with Google support is a bit like driving with a blindfold on. However, you may find valuable answers that you can use from fellow users or from support people themselves. Google has set up this forum page especially for those who have lost reviews. Will I Get My Reviews Back? The industry standard answer to this question is a shrug, because we simply don’t know. Once reviews have been lost and then reported, it’s important to hunker down and wait it out…it could take 10 hours, 10 weeks, or – God forbid – 10 years…or you may not see those reviews again unless you have followed the steps above. 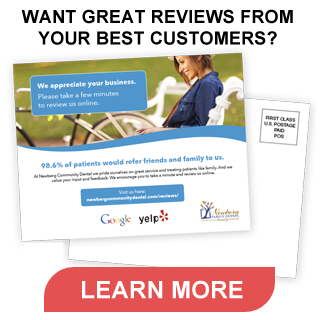 Keep in mind also that it might be a gentle reminder to help your patients diversify their reviews across your business pages on various platforms, so that a loss in Google won’t make a devastating impact on what you’ve built.